Greg Miller’s recent Wired article about how movies trick your brain into empathizing with characters begins by describing the scene from 2010’s psychological thriller Black Swan. 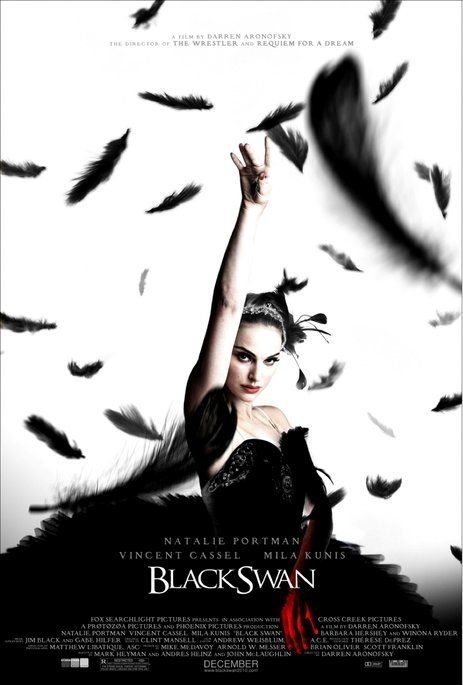 In this intense scene, Natalie Portman, playing a ballerina vying for the role of Odette/Odile in Swan Lake, begins to believe black feathers are sprouting from her skin. “When people watch this scene,” Miller says, “their brain activity bears some resemblance to a pattern that’s been observed in people with schizophrenia,” according to neuroscientist Talma Hendler. At a recent Hollywood event, Black Swan’s director, Darren Aronofsky, said he’d “be thrilled” if he gave audiences “a temporary taste of psychosis.” It may work that way through the activity in two brain regions shown by functional MRIs to be connected with empathy: one, she calls “mental empathy,” the classic, putting yourself in another person’s shoes feeling; the second, “embodied empathy,” is more visceral, the kind of weak-in-the-knees feeling I get when I see someone else’s cut or injury. Having studied people’s reactions to emotional movie scenes, Hendler believes both types of empathy are important in shaping what they experience. Schizophrenics, however, tend to rely more on mental empathy. “It’s as if they’re having to think through the emotional impact of situations that other people grasp more intuitively and automatically,” she suggested. And in that scene from Black Swan, Aronofsky believes viewers’ minds mimic that, by being engaged in trying to figure out whether the feathers are real or Portman’s hallucination. This entry was posted in Emotion, Movie, The Morgue by Victoria. Bookmark the permalink.